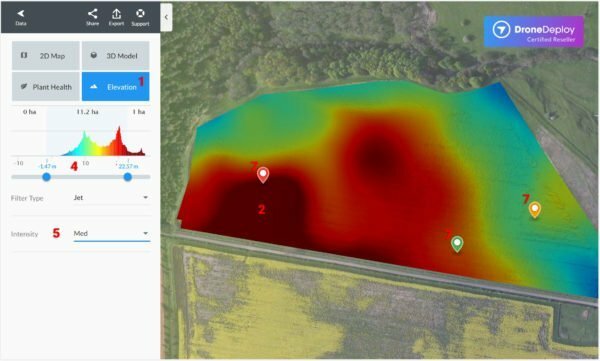 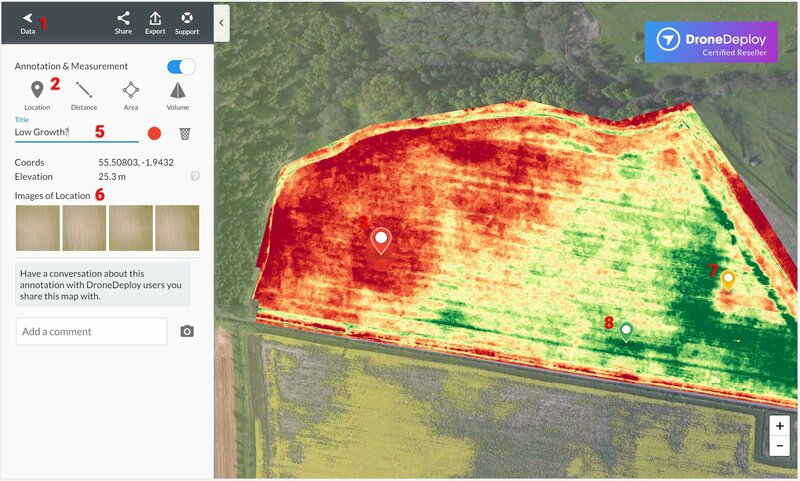 This is a yearly DroneDeploy software package designed for mapping your farm with your DJI drone. 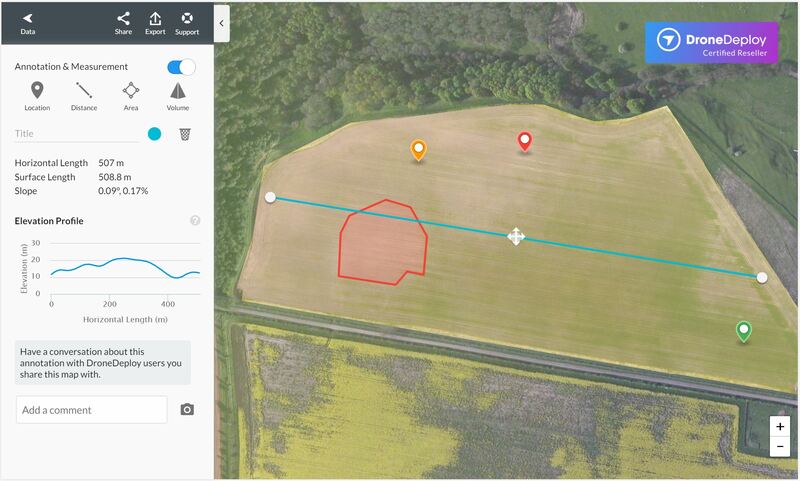 Real-Time Mapping – great for getting an overview at the field side. 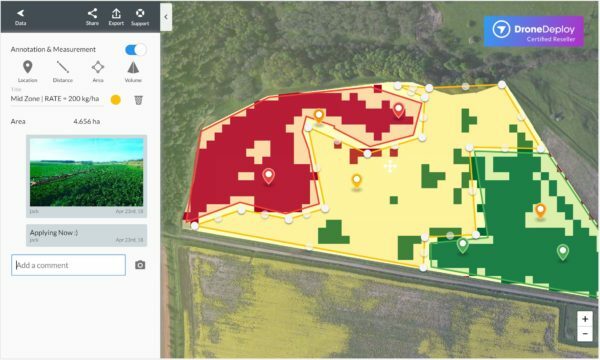 Scouting has never been so easy. 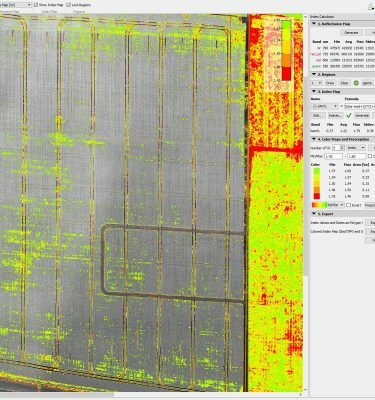 Advanced Crop Health – using either you standard RGB camera or Sentera camera if/when you upgrade your drone. 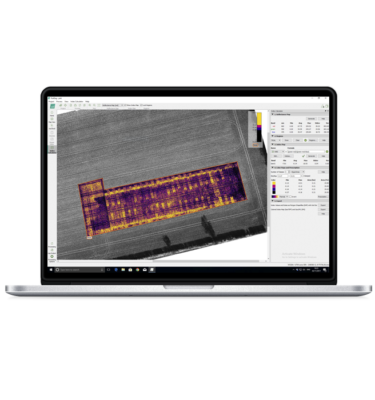 Plant Counts – up to 1000 Acres of stand and count and population analyses. Shapefile Exports – send the data to your farm management software. 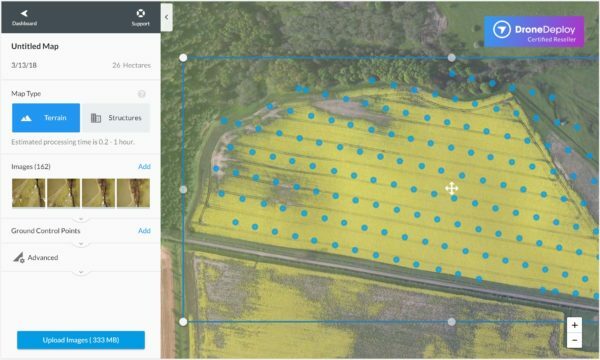 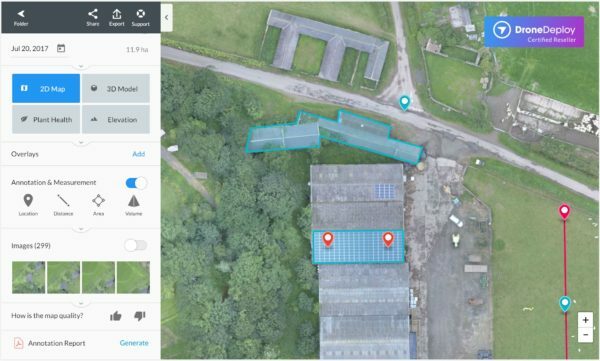 Learn how to make the most of DroneDeploy with our Using Your Farm Drone training course, and get £50 credit. 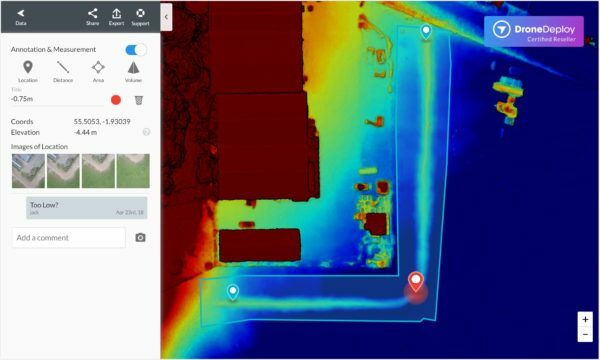 Want a discount? 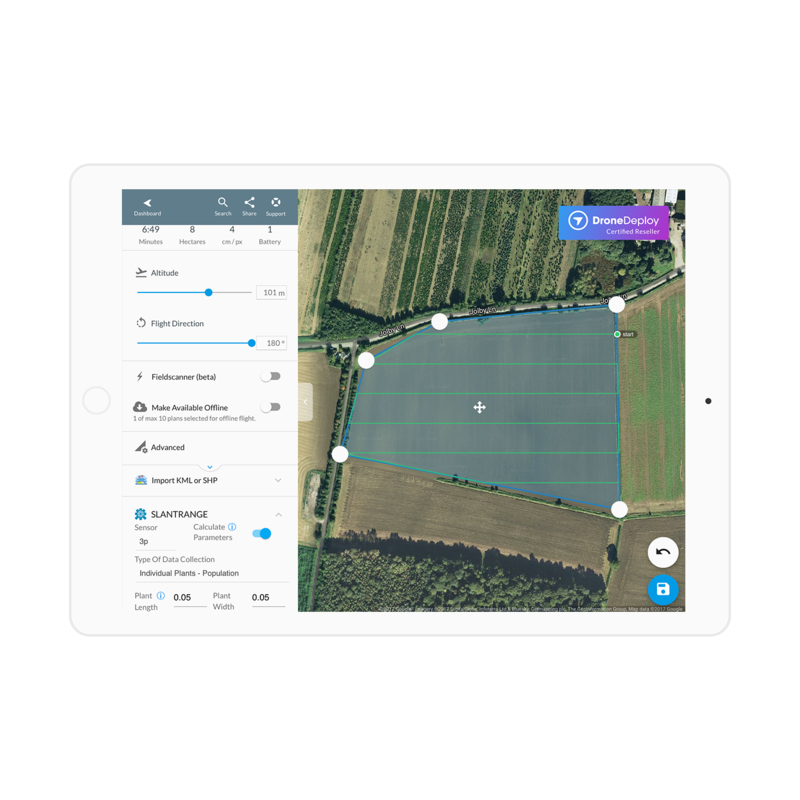 Become a member by purchasing Book: Farm Drone Training or DroneDeploy AG!